Right in between Brown's Furniture and Runion's Furniture. 9:00- 5:00 Mon. - Fri.
Our mission is to exemplify the 'Good Neighbor' attitude in every situation and extend a personal level of service like no other. 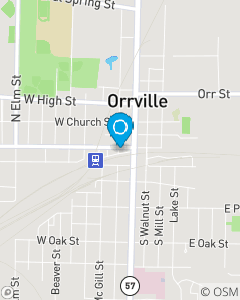 We want to be Orrville's choice for quality Auto, Home, Life & Health insurance and financial services products. We will be knowledgeable, respected, and involved members of the communityand will assist customers with their important decisions.